Given names: Gennadi Ivanovich Stephen Kern Edward Michael "Mike"
Launch from Cape Canaveral (KSC); landing on Edwards AFB. The Expedition 4 officially began with undocking of Space Shuttle STS-108 on December 15, 2001 at 17:28:00 UTC and Expedition 3 ended. A new International Space Station crew, the fourth flight of an Italian-built Multipurpose Logistics Module and a spacewalk to install thermal blankets over two pieces of equipment at the bases of the space station's solar wings were major elements of the STS-108 (ISS-12-UF1) flight of Endeavour. The Italian Multipurpose Logistics Module named Raffaello made its second visit to the space station. 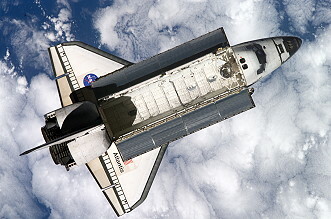 It first flew aboard Endeavour on STS-100 in April 2001. It was one of three virtually identical modules that served as pressurized moving vans, bringing equipment and supplies to the space station. A sister module named Leonardo has visited the station twice, on STS-102 in March 2001 and on STS-105 in August 2001. STS-108 docked on December 07, 2001 with the International Space Station. 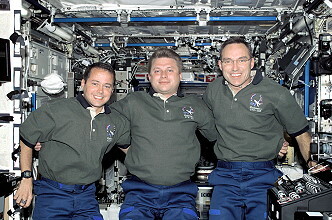 The hatches were opened between Endeavour and the ISS Destiny Laboratory at 22:42 UTC December 07, 2001, enabling the ten crew members to greet one another. On flight day 4 Raffaello was lifted out of Endeavour's payload bay and attached directly to the station's Unity node for the unloading of its cargo, which consisted of the contents of eight resupply stowage racks and four resupply stowage platforms. Much of the material was transferred to the station's U.S. laboratory Destiny. The three Expedition Four crewmembers installed their Individual Equipment Liner Kits in the Soyuz capsule docked to the station, thus becoming members of the station crew. 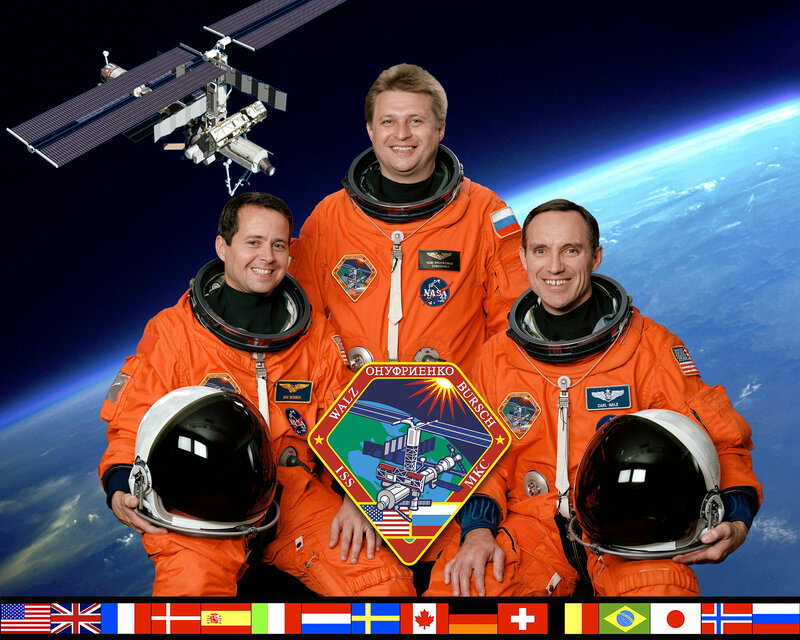 The Expedition 3 crew officially ended their 117-day residency on board the International Space Station December 08, 2001 as their custom Soyuz seat-liners were transferred to Endeavour for the return trip home. 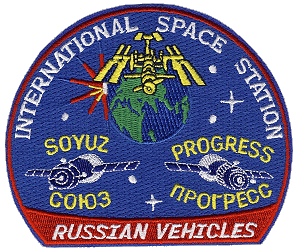 The transfer of the Expedition 4 seat-liners to the Soyuz return vehicle attached to the station marked the official exchange of crews. 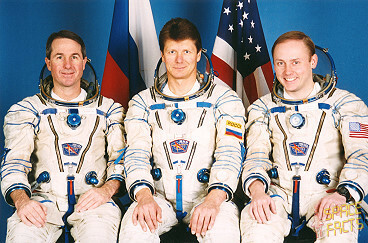 Yuri Onufriyenko, Carl Walz and Daniel Bursch became as fourth expedition the new resident crew of the ISS. ISS third expedition crew with Frank Culbertson, Mikhail Tyurin and Vladimir Dezhurov returned to Earth with his mission. The only EVA was performed by Linda Godwin and Daniel Tani on December 10, 2001 (4h 12m) to install insulation on mechanisms that rotate the International Space Station's main solar arrays. The two spacewalkers stopped at a stowage bin to retrieve a cover that had been removed from a station antenna during an earlier flight, and after its return to Earth, may be reused. Linda Godwin and Daniel Tani also performed a "get-ahead", task, positioning two switches on the station's exterior to be installed on a future shuttle mission, STS-110. Two blankets were installed, one on the mechanism that rotates the port side solar array wing, technically labeled the 4B array, and another on the mechanism that rotates the starboard side solar array wing, labeled the 2B array. The blankets are designed to moderate the extremes of heat and cold that the mechanisms experience in space, safeguarding their future operation. Linda Godwin and Daniel Tani carried the blankets out of the airlock with them, each carrying one up to the work site, located at the top of the station's P6 truss, about five stories above the station's modules. After they had left the shuttle airlock, positioned each blanket for translation and gathered tools stowed in Endeavour's bay, Linda Godwin and Daniel Tani attached tethers to the end of the shuttle's robotic arm. As they held on, Mark Kelly maneuvered the arm to lift the spacewalkers to a point part way up the five-story truss structure, as high as the shuttle arm is able to reach. At that point, Linda Godwin and Daniel Tani left the arm and climbed the rest of the way up to the top of the truss to the starboard and port rotating mechanisms, called Beta Gimbal Assemblies. The two spacewalkers worked together to install each custom-designed blanket, turning the first on portside mechanism. Daniel Tani was carrying the port blanket and began to unpack it, first attaching straps that will anchor it to handrails. Then, Daniel Tani began unrolling the blanket, wrapping around the barrel-shaped mechanism, passing it underneath the assembly and handed the blanket off to Linda Godwin. Linda Godwin continued to wrap the blanket around the mechanism and handed it back over the assembly to Daniel Tani, where it was secured to its starting edge using Velcro straps to tighten it in place. A hood unfurled as the blanket was unrolled that was positioned to insulate connectors attached to the mechanism. The spacewalkers then repositioned themselves and repeated the procedure to install the blanket carried by Linda Godwin around the starboard mechanism. Then, crewmembers turned their attention to several miscellaneous "get-ahead" tasks. The crew unpacked three tons of supplies brought from Earth in the Raffaello cargo module. The transferred items included more than 850 pounds (386 kg) of food, 1,000 pounds (454 kg) of clothing and other crew provisions, 300 pounds (136 kg) of experiments and associated equipment, 800 pounds (363 kg) of spacewalking gear, and 600 pounds (272 kg) of medical equipment. The module contained two tons of unneeded equipment, food containers, clothes and other cargo, when returned home. In addition to the new crew and the Multipurpose Logistics Module, the shuttle also brought to the ISS in its cargo bay the Lightweight Mission Peculiar Support Structure Carrier with four Get Away Special (GAS) experiments. Another cargo-bay payload was the Multiple Application Customized Hitchhiker-1 (MACH-1), situated between Endeavour's airlock and Raffaello. On flight day 9 Raffaello was unberthed from the space station and returned to Endeavour's cargo bay. Station and shuttle crewmembers reviewed undocking procedures. Before leaving the ISS the altitude of the station was raised to fly well clear of an old Russian rocket body. On December 15, 2001 Endeavour backed away from the ISS to a distance of about 450 feet (137.2 meters), where Mark Kelly began a close fly around of the station, circling the complex 1 ¼ times. Mark Kelly passed directly above the station, then behind, then underneath, then in front and then reached a point directly above it for a second time. At that point, passing above the station for a second time, Mark Kelly fired Endeavour's jets to separate the vicinity of the station. 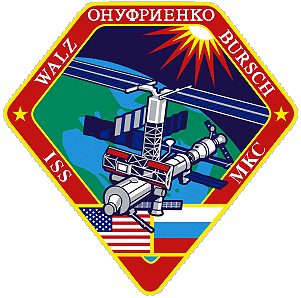 The first station EVA by Yuri Onufriyenko and Carl Walz occurred on January 14, 2002 (6h 03m) to move a Strela cargo crane and install an amateur radio antenna. Yuri Onufriyenko and Carl Walz relocated the cargo boom for the Russian Strela crane. They moved the boom from Pressurized Mating Adapter 1 to the exterior of the Pirs Docking Compartment. The crew also installed an amateur radio antenna onto the end of the Zvezda Service Module. The space walk was based out of the Pirs Airlock and used Russian Orlan space suits. 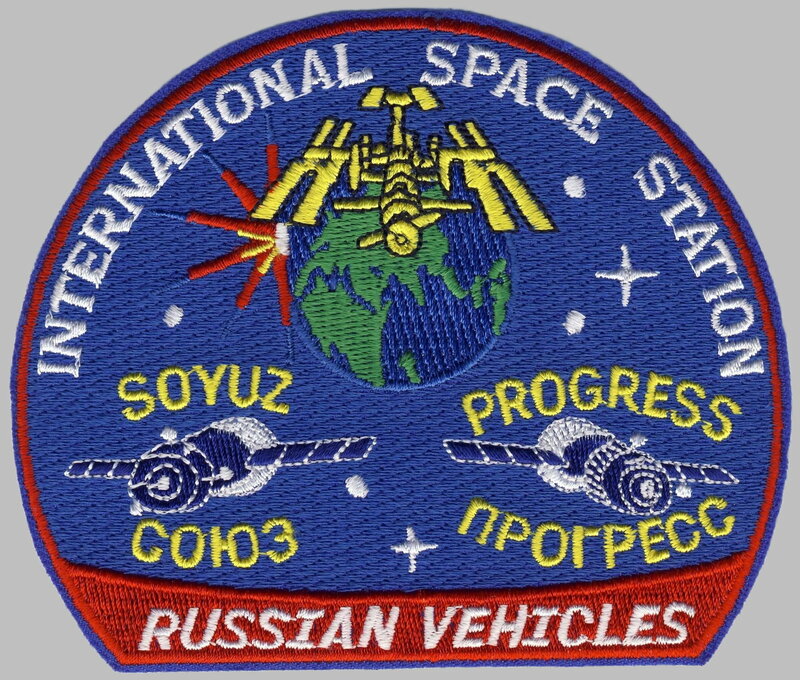 The second EVA was performed by Yuri Onufriyenko and Daniel Bursch on January 25, 2002 (5h 59m) to install six thruster deflectors at the rear of the Zvezda Service Module, retrieving and replacing a device to measure material from the thrusters and installing a ham radio antenna and its cabling. The third and final EVA by Carl Walz and Daniel Bursch occurred on February 20, 2002 (5h 47m) to perform housekeeping chores and gather tools to prepare for the next station assembly mission, which will deliver the central section of the outpost's backbone. This spacewalk was based out of the Quest Airlock, using U.S. spacesuits. 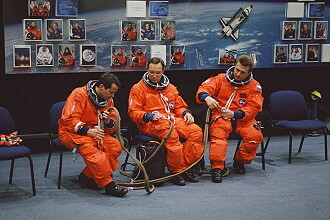 Carl Walz and Daniel Bursch tested the airlock and prepared for the four spacewalks that were to be performed during STS-110 in April 2002. 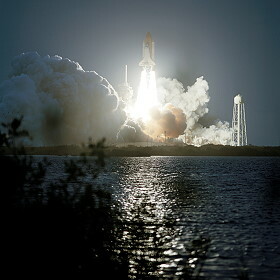 Progress M1-8 was launched at 20:13:39 UTC on March 21, 2002. 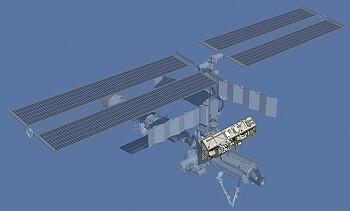 The spacecraft docked with the Aft port of the Zvezda module at 20:57:56 UTC on March 24, 2002. Progress M1-8 carried supplies to the International Space Station, including food, water and oxygen for the crew and equipment for conducting scientific research. It remained docked for three months before undocking at 08:26:30 UTC on June 25, 2002 to make way for Progress M-46. It was deorbited at 11:35:00 UTC on the same day. The spacecraft burned up in the atmosphere over the Pacific Ocean, with any remaining debris landing in the ocean at around 12:26:52 UTC. 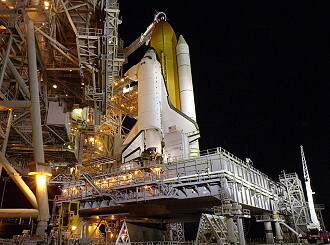 STS-110 arrived on April 10, 2002 at the International Space Station. The main purpose of STS-110 (ISS-13-8A Integrated Truss Structure S0, Mobile Transporter) was to attach the S0 Truss segment to the International Space Station (ISS) to the Destiny Laboratory Module. 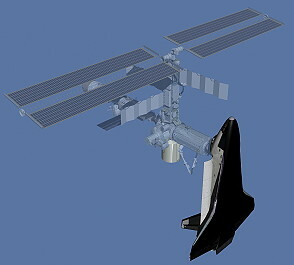 It forms the backbone of the station to which the S1 and P1 truss segments were attached (on the following missions STS-112 and STS-113, respectively). During four spacewalks, astronauts truly took on the appearance of high-rise construction workers as they assembled beams, attached work lights, bolted girders and plugged in electrical connections. The station's Canadarm2 robotic arm was used exclusively to hoist the 13-ton truss section, called the S-Zero (S0) Integrated Truss Structure, from Atlantis and attach it to the station. Nine additional truss segments were linked on future missions to the centerpiece segment carried by Atlantis to form the finished structure. The finished truss will support almost an acre of solar panels and giant cooling radiators. Although the International Space Station already is a fully functional research complex with a single United States laboratory, the additional solar panels and radiators will provide the electricity and cooling necessary for Japanese and European laboratories to be attached to the station as well as a future U.S. centrifuge laboratory. The Starboard 0 (S-Zero or S0) truss segment was delivered to the orbiting outpost on STS-110 (ISS Assembly Flight 8A). Power and data cables and the thermal control system that provides heating and cooling wind through the 44-foot (13.4 meters) by 15-foot (4.6 meters), 27,000-pound (12,247 kg) truss segment to carry energy and information to and from the station's extremities where solar panels collect electrical energy used to power experiments, computers, life support systems and other services. The Integrated Truss Segment (ITS) S0 provides the capability to attach the four Photovoltaic Module truss segments to increase the ISS power production capacity. The S0 truss is launched with a complement of pre-integrated hardware to increase ISS functionality including the Mobile Transporter (MT), the Trailing Umbilical System (TUS), the Portable Work Platform, four Global Positioning System (GPS) antennas, two rate gyros, an Extravehicular Charged Particle Detection System (EVCPDS), and umbilicals for U.S. on-orbit elements. Mission 8A also delivered four Main Bus Switching Units (MBSUs), two Circuit Interrupt Devices, three Crew and Equipment Translation Aid (CETA) lights and the Airlock Spur. The S0 is the center segment of 11 integrated trusses that provide the foundation for station subsystem hardware installation, utility distribution, power generation, heat rejection and external payload accommodations. The S0 truss acts as the junction from which external utilities are routed to the pressurized modules by means of EVA-deployed umbilicals. These utilities include power, data, video and Active Thermal Control System ammonia. The S0 truss provides a mounting point for electronic equipment such as the MBSUs, four of the DC-to-DC Converter Units (DDCUs), and four Secondary Power Distribution Assemblies. As mentioned, also mounted on S0 are the space station's four GPS antennas and two Rate Gyros. The S0 truss will connect to its neighboring truss segments (S1 and P1) by means of the Segment-to-Segment Attachment System, which consists of a remotely operated capture latch and four motorized bolt assemblies. Structural attachment to the U.S. lab is accomplished through the Module-to-Truss Structure, which consists of 10 EVA-deployed telescoping struts. The S0 structure has an elongated hexagonal cross section with five bays arrayed along the long axis. Although S0 has a large complement of pre-integrated equipment on its structure, the frame is open enough to allow EVA operations within the spaces of the bays. The numbered faces of S0 make identification of worksites easier for EVA crews translating around the truss segment. These faces are numbered sequentially counterclockwise from the forward nadir face to the aft nadir face. Just as trains carried supplies to the Old West frontier, the Mobile Transporter (MT) became the first railroad in space on the International Space Station (ISS) during STS-110. The 1,950-pound (884.5 kg) structure travel along the rails of the Integrated Truss Structure (ITS) and, together with the Mobile Base System, will provide the work platform for the Canadian-built mechanical arm (also known as the Space Station Remote Manipulator System or Canadarm2). Strong and powerful, the high-strength aluminum transporter provides the mobility to relocate the Canadarm2 to 10 pre-designated space station worksites and helps deploy segments of the ITS with its payload capacity of 46,100 pounds (20,911 kg). The MT will lock itself down to the rails to move the massive payloads. Built for performance, the transporter measures 108 inches (274 centimeters) long, 103 inches (262 centimeters) wide and 38 inches (97 centimeters). It travels on a three-point suspension system: the Linear Drive Unit, which drives and supports the MT, and the two Roller Suspension Units, which provide additional support as the MT travels down the ITS rails. Less than two hours after docking, the hatches between the shuttle and station were opened and the crews of STS-110 and Expedition Four greeted one another. The remainder of the day was spent transferring supplies and equipment, including two crystal growth experiments, between the two spacecraft as well as a joint review by the two crews of plans for installation of the S0 truss and the first spacewalk. Ellen Ochoa and Daniel Bursch powered up the station's robotic arm and maneuvered it through a practice run, going through the same motions that will be required to install the truss to the station. The station arm was left overnight in a position near the fixture it latched onto to lift the truss out of Atlantis' payload bay. Ellen Ochoa and Daniel Bursch worked together aboard the station to use the complex's Canadarm2 to lift the the 43.3-foot (13.2 meters), 27,830-pound (12,624 kg) S0 truss segment from Atlantis' cargo bay and attached it atop the station's Destiny laboratory. Stephen Frick operated the shuttle's robotic arm aboard Atlantis to use views from television cameras on that arm to assist Ellen Ochoa and Daniel Bursch. Once in place, the crew inside commanded the capture latch to close. This was done to make the truss stable enough for attitude control and the small loads the spacewalkers will induce. The first EVA was performed by Steven Smith and Rex Walheim on April 11, 2002 (7h 48m), installing the (S-Zero) truss segment. Their first task was releasing starboard and port forward Module-to-Truss Structure (MTS) strut clamshell fasteners. Using a standard EVA power tool, they had to undo a total of eight bolts, four on each side, beginning on the starboard side. Then they released four launch restraint bolts, two on each side, from footplates. That allowed the V-shaped structures to rotate downward. Steven Smith and Rex Walheim installed four bolts through each footplate, securing the structures to the lab. Then each clamshell fastener was tightened to rigidize the struts. By releasing two bolts, Steven Smith deployed the Aft Lab Avionics Tray, which contained power, data and fluid umbilicals that were connected to the lab, node and Z1. He mated the avionics connectors only (not the fluid connectors) to the lab and Z1. He paused from that task periodically to help Rex Walheim, who was simultaneously installing and mating the Lab Forward Avionics Umbilicals on the starboard and then port side. Steven Smith removed the port drag link and entered the truss to install two Circuit Interrupt Devices (circuit breakers). That done, he again teamed up with Rex Walheim to install the Zenith Trailing Umbilical System Cable. 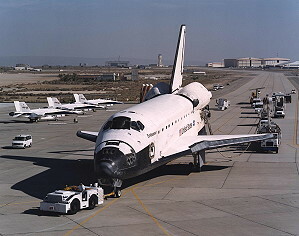 On flight day 5 the crews turned their attention to continuing the transfer of supplies, equipment and experiments between the station and shuttle. Nitrogen and oxygen was transferred from tanks aboard Atlantis to replenish tanks on the station's Quest airlock. All crewmembers also had time set aside for a group review of plans for the upcoming second and third spacewalks. The crewmembers had a couple of hours of off-duty time at the end of the day. The second spacewalk by Jerry Ross und Lee Morin occurred on April 13, 2002 (7h 30m) to mate two large tripod legs of the truss to the Destiny Laboratory. After leaving the airlock and standard setup activities, the first task of Jerry Ross and Lee Morin during their spacewalk was to install the aft MTS struts, first the starboard and then the port. The aft strut groups are tripods, with three adjustable struts meeting at a common footplate that attaches to the lab structure. Jerry Ross and Lee Morin worked together to deploy the struts, with Lee Morin on Canadarm2 near S0 and Jerry Ross at the lab receiving the "point" of the tripod. Each strut has two clamshell fasteners that must be released (for a total of 12 fasteners), and each strut group has five launch restraint bolts that must be released. Six bolts attach each aft MTS strut group to the lab's aft endcone and five bolts attach each strut group to S0. This task was somewhat more difficult than other tasks because of the size of the strut groups and the specialized procedure required to torque down the bolts. Then each clamshell fastener was tightened to rigidize the struts. With the completion of the strut attachments, S0 was attached rigidly to the ISS, and was able to support its design loads, including the solar arrays that were on the ends of the truss at assembly complete. Jerry Ross, later joined by Lee Morin, moved on to remove and stow drag links, large metal rods used to support the S0 truss during launch. They were stowed on the truss' exterior. Jerry Ross also removed a thermal cover from the truss and brought it into the airlock. Next both Jerry Ross and Lee Morin moved on to mate the Trailing Umbilical System 2 nadir cable to the Mobile Transporter. Launched on the S0 Truss, the Mobile Transporter serves as an installation point for Canadarm2's Mobile Servicing System (MSS) Base System, launched on STS-111. Finally, the spacewalkers removed the truss' keel pin assemblies. Like the drag links, they were attached to the truss for long-term stowage. The third EVA was again performed by Steven Smith and Rex Walheim on April 14, 2002 (6h 27m). They rewired the Canadarm2 and readied the complex's newly-delivered rail-car (Mobile Transporter) to move. 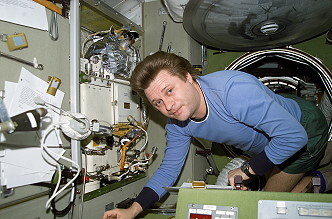 The first task of the third spacewalk after Steven Smith and Rex Walheim left the airlock and completed setup, was release of the Lab Cradle Claw atop Destiny by Rex Walheim and the installation of the J300 Panel Connectors by Steven Smith. The claw initially held the S0 truss to Destiny's Lab Cradle Assembly. The J300 Connectors and subsequent reconfiguration of the J400 Power Data and Grapple Fixture (PDGF) Connectors by Steven Smith will route power, data, and video through the S0 truss for later operation of Canadarm2 from the MSS Base System after STS-111. Steven Smith and Rex Walheim then turned their attention to the Mobile Transporter, spending about 45 minutes releasing its many launch restraints and removing a small thermal cover from a radiator on the Mobile Transporter. Then they continued work on the J400 reconfiguration for another hour and a half. After transferring tools from the shuttle to the station's exterior and transferring other tools on the station exterior, the spacewalkers depressed three sensors on the starboard side of S0 to test them for future mating of the S1 truss. The last task of the spacewalk was to install the Airlock Spur. The spur is a beam almost 14 feet (4.3 meters) long and fitted with handrails. The spur will help spacewalkers move more efficiently from the Quest airlock to the forward side of the S0 Truss and the Destiny laboratory. The Mobile Transporter railcar was commanded to move for the first time on the eighth day of the mission. A checkout of the space railway commanded the transporter to roll up and down its 43-foot-long rails. Television cameras on Atlantis' robotic arm were used to record the transporter checkout. Interior cargo continued to be transferred during the day and preparations were made for the fourth and final spacewalk. The crew also had about a half-day off duty to rest. The fourth and final EVA by Jerry Ross and Lee Morin was conducted on April 16, 2002 (6h 37m), installing a ladder, testing electrical switches for upcoming truss expansion and attaching external light and equipment to be used in future assembly work. Tasks of the flight's final spacewalk began with release of Lab Cradle Assembly guide cones, used to guide the S0 Truss onto the assembly, by Lee Morin and installation by Jerry Ross of a light on the Unity node to help future spacewalkers and robotics operators. Those tasks complete, both spacewalkers spent the next 30 minutes partially assembling a portable work platform, which will aid future spacewalkers in maintenance activities. They depressed three sensors on the port side of the S0 truss to test them for future installation operations of the P1 truss segment. Jerry Ross then installed a second light on Destiny. While Jerry Ross did the 45-minute light installation, Lee Morin deployed the Extravehicular Charged Particle Directional Spectrometer. That instrument measures and characterizes the radiation environment outside the station for documenting crew exposure. It also can provide almost instant information on exposure rates during unexpected radiation events. Lee Morin's next task was to deploy the Node 1 Swing Arm. Only the beam was deployed on this mission. Its three umbilical connectors from the S0 truss aft to the Unity Node's endcone were deployed on a later flight. After the beam was deployed, the crew's outfitting of the S0 truss was complete. Jerry Ross, meanwhile, was using that hour to install Mobile Transporter Energy Absorbers, port and starboard, to provide a barrier and attach point between the Mobile Transporter and future hand-propelled carts that will be used by spacewalkers. Other tasks on this spacewalk included installation of handrails on the S0 truss, removal of a thermal blanket from S0, and tool relocations in preparation for the next flight's spacewalkers. Additionally, Lee Morin performed a checkout of a Trace Gas Analyzer that is designed to detect minute amounts of gas in the environment of space. On April 17, 2002 Atlantis backed away from the ISS to a distance of about 450 feet (137.2 meters), where Stephen Frick began a close, 90-minute flyaround of the station, circling it 1 ¼ times. Atlantis moved directly over the station, then behind it, underneath it, and back in front of the ISS, where the flyaround began. 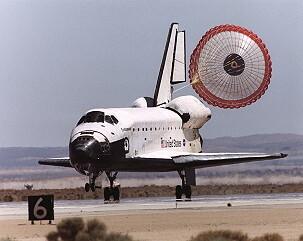 The last quarter-circle brought the shuttle directly above the station. There Stephen Frick fired Atlantis's jets to move away from the station. On April 20, 2002, Yuri Onufriyenko relocated the Soyuz TM-33 rescue capsule from the Zarya module to the Pirs docking compartment (21 m). 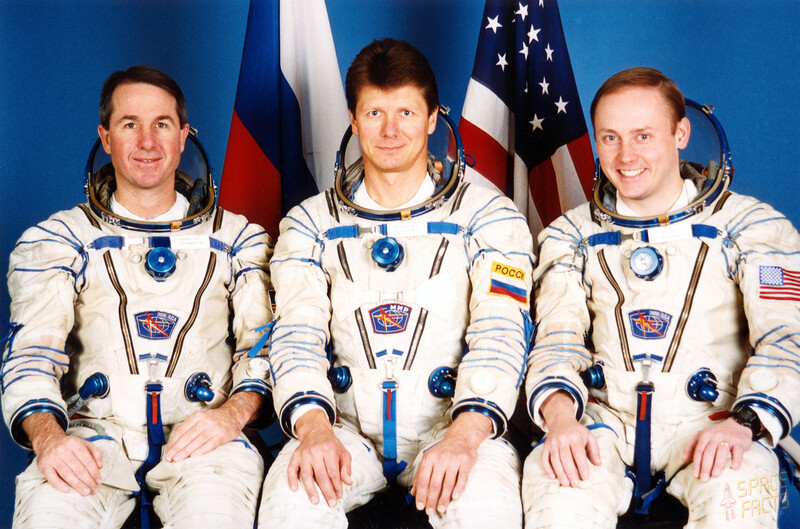 On May 05, 2001 the taxi crew undocked in the Soyuz TM-33 spacecraft and landed a few hours in Kazakhstan. ADVANCED ASTROCULTURE provides a completely enclosed, environmentally controlled plant growth chamber. It requires no power during shuttle ascent and descent. Before the flight, scientists plant seeds in a root tray using a dry rooting material called Arcillite, a type of crushed clay. The seed tray is then attached to the ADVANCED ASTROCULTURE growth chamber. Reservoirs in the growth unit are loaded with water and nutrient solutions that plants need to live while aboard the ISS. The equipment is configured as two single middeck lockers that insert separately into a space station EXPRESS Rack. One locker contains the support systems. The other contains the plant growth chamber and ancillary hardware. 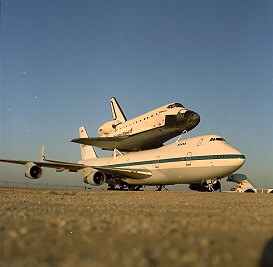 This arrangement allows the support system to remain on board, while the shuttle transports plant growth units to and from the station with different experiments. Active Rack Isolation System (ARIS) - ARIS ISS Characterization Experiment (ARIS ICE): Even in the virtually gravity-free environment of the International Space Station, tiny potential vibrations or disturbances - such as those caused by crew exercise - can upset the delicate balance of sensitive science experiments. The Active Rack Isolation System (ARIS) acts as a vibration absorber to help isolate them. By acting as a buffer between the experiment and these vibrations, ARIS protects delicate experiments housed in EXPRESS Rack No. 2 from outside influences that could potentially affect research results. The EXPRESS Rack, which stands for EXpedite the PRocessing of Experiments to the Space Station, is a standardized payload rack system that transports, stores and supports experiments aboard the space station. A related experiment to the ARIS system, the ARIS ISS Characterization Experiment (ARIS ICE), is a separate payload created to characterize ARIS' on-orbit performance. In addition to generating controlled disruptions on and off the rack, ARIS ICE will enable real-time monitoring of the on-orbit vibration isolation capabilities of various ARIS configurations. The objective of the Cellular Biotechnology Operations Support System (CBOSS) is to provide a controlled environment for the cultivation of cells into healthy, three-dimensional tissues that retain the form and function of natural, living tissue. CBOSS will enable investigations on normal and cancerous mammalian cells, including ovarian and colon cancer cells, neural precursor and human renal cells. The system is comprised of the Biotechnology Specimen Temperature Controller, the Biotechnology Refrigerator, the Gas Supply Module and the Biotechnology Cell Science Stowage. The crew will periodically record scientific data, add fresh media to the tissue culture modules and process samples for return to Earth. The crew also will perform preventative maintenance. Using photographs taken from space, the Crew Earth Observations (CEO) experiment provides people on Earth with data needed to better understand our planet. 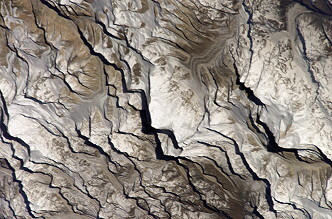 The photographs - taken by crewmembers using handheld cameras - record observable Earth surface changes over a period of time, as well as more fleeting events such as storms, floods, fires and volcanic eruptions. The goal of the research conducted in the Commercial Generic Bioprocessing Apparatus (CGBA) payload is to develop commercial uses of the unique microgravity environment for the field of life sciences. The CGBA hardware is able to support many standard biological laboratory techniques that have been adapted to operate in space. The experiments are designed to further our understanding of how gravity influences various biophysical and biochemical actions. Applications of this knowledge are geared toward creating or improving various biologically derived products, as well as enhancing the processes used to create them. The Commercial Protein Crystal Growth (CPCG) payload consists of 1,008 individual experiments in the High Density Protein Crystal Growth Assembly. This assembly will be stored in a Commercial Refrigerator Incubator Module for temperature control. The payload will be transferred to the International Space Station and the experiments will be activated. The crystal growth experiments, which require minimal crew interaction, will continue through the duration of the mission. The High Density Protein Crystal Growth System represents a major increase in capacity over the Center's previous crystal growth hardware, which contained only 128 individual experiments. EarthKAM (Earth Knowledge Acquired by Middle school students) is a NASA-sponsored educational program that enables students to photograph and examine the Earth from the vantage point of the International Space Station. EarthKAM is operated by the University of California, San Diego and NASA field centers. Using a digital camera mounted at the optical quality window in the station's Destiny lab, EarthKAM students are able to remotely photograph the Earth's coastlines, mountain ranges and other geographic items of interest from the unique vantage point of space. Structural biological experiments conducted in the Single-locker Thermal Enclosure System (STES) may provide a basis for understanding the function of important macromolecules and possibly contribute to the development of new macromolecules. The scope of biological macromolecules includes proteins, polysaccharides and other carbohydrates, lipids and nucleic acids of biological origin, or those expressed in plant, animal, fungal or bacteria systems. The fundamental goal for growing biological macromolecular crystals is to determine their structure and the biological processes in which they are involved. Understanding these structures may impact the studies of medicine, agriculture, the environment and other biosciences. Astronauts in EVA Radiation Study (EVARM): Monitoring devices have been flown on many space shuttle missions and Russia's space station MIR to learn more about how to protect crews from the effects of radiation. But these devices were not specifically designed to study radiation dosages encountered during spacewalks. The Astronauts in EVA Radiation Study (EVARM) will be the first to measure radiation dosage encountered by the eyes, internal organs and skin during specific spacewalks and relate it to the type of activity, location and other factors. The EXPRESS Rack is a standardized payload rack system that transports, stores and supports experiments aboard the International Space Station. EXPRESS stands for EXpedite the PRocessing of Experiments to the Space Station, reflecting the fact this system was developed specifically to maximize the station's research capabilities. The EXPRESS Rack system supports science payloads (including commercial activities) in several disciplines including biology, chemistry, physics, ecology and medicine. The Human Research Facility, the first rack-sized payload to be installed in the U.S. Laboratory module of the International Space Station, provides an on-orbit laboratory that will enable life science researchers to study and evaluate the physiological, behavioral and chemical changes in human beings induced by space flight. The Human Research Facility is a rack which provides services and utilities to experiments and instruments installed within it. These include electrical power, command and data handling, cooling air and water, pressurized gases and vacuum. Effects of Altered Gravity on Spinal Cord Excitability (H-Reflex): A goal of the H-Reflex experiment is to help researchers determine if exercise could be made more effective on long space flights. The experiment measures spinal cord excitability - its ability to respond to stimuli. Researchers believe that spinal cord excitability decreases during prolonged space flight. If this proves true, they hypothesize that in-flight exercise would be less effective and the crews will have to work harder and longer to achieve any benefit. If spinal cord excitability does decrease on prolonged flights, researchers may be able to reverse the effect and lower the amount of exercise now required in space and thus increase crewmember productivity during the flight. Crewmember and Crew-Ground Interactions During ISS Missions (Interactions): The Interactions experiment seeks to identify and characterize important interpersonal and cultural factors that may impact the performance of the crew and ground support personnel during International space station missions. The study will examine - as it did in similar experiments on the Russian Space Station MIR and during Expedition Two - issues involving tension, cohesion and leadership roles in the crew in orbit and in the ground support crews. The study will have both the crewmembers and ground control personnel complete a standard questionnaire. Microgravity Acceleration Measurement System (MAMS) measures accelerations that affect the entire space station, including experiments inside the laboratory. It fits in a double middeck locker, in the U.S. laboratory Destiny in EXPRESS Rack No.1. 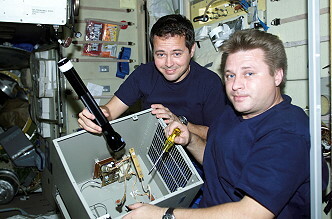 During Expedition Three, it was preinstalled in the rack, which was placed in the laboratory during Expedition Two. At the start of Expedition Three, MAMS was relocated to EXPRESS Rack No. 4. The MAMS accelerometer sensor is a spare flight sensor from the Orbital Acceleration Research Experiment (OARE) program that characterizes similar accelerations aboard the space shuttle. Unlike SAMS-II, MAMS measures more subtle accelerations that only affect certain types of experiments, such as crystal growth. Therefore MAMS will not have to be on all the time. During early expeditions, MAMS will require a minimum operational period of 48 or 96 hours to characterize the performance of the sensors and collect baseline data. During later increments, MAMS can be activated for time periods sufficient to satisfy payload or space station requirements for acceleration data. 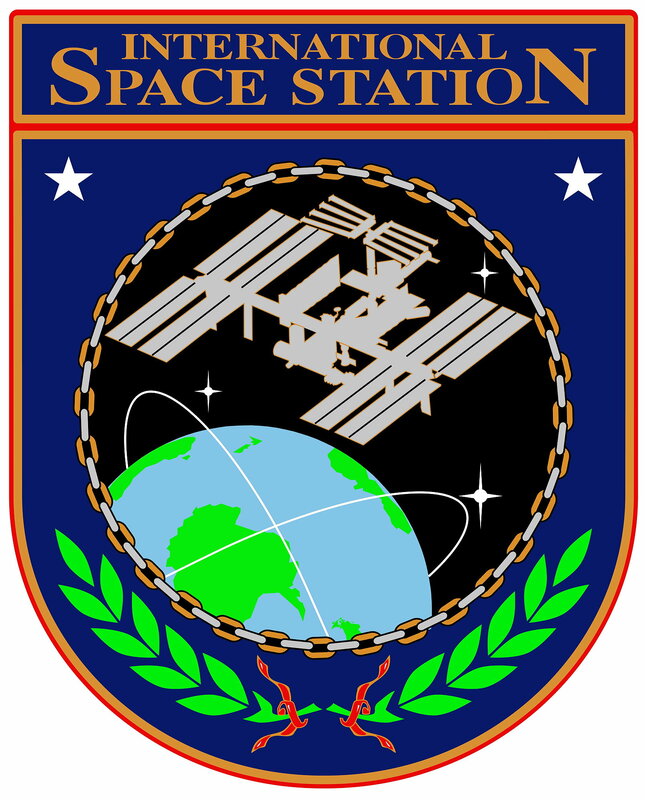 Space Acceleration Measurement System II (SAMS-II) began operations on ISS Mission 6A. It measures vibrations that affect nearby experiments. SAMS-II uses small remote triaxial sensor systems that are placed directly next to experiments throughout the laboratory module. For Expedition Two, five sensors were placed in the EXpedite the PRocessing of Experiments to the Space Station Racks (EXPRESS) with experiments before launch. As the sensors measure accelerations electronically, they transmit the measurements to the interim control unit located in an EXPRESS Rack drawer. SAMS-II is designed to record accelerations for the lifetime of the space station. As larger, facility-size experiments fill entire space station racks in the future, the interim control unit will be replaced with a more sophisticated computer control unit. It will allow on-board data analysis and direct dissemination of data to the investigators' telescience centers located at university laboratories and other locations around the world. Special sensors are being designed to support future experiments that will be mounted on the exterior of the Space Station. The Materials International Space Station Experiments (MISSE) Project is a NASA Langley Research Center-managed cooperative endeavor to fly materials and other types of space exposure experiments on the space station. The objective is to develop early, low-cost, non-intrusive opportunities to conduct critical space exposure tests of space materials and components planned for use on future spacecraft. Physics of Colloids in Space (PCS): The experiment will focus on the growth and behavior of three different classes of colloid mixtures of tiny manmade particles of either polymethyl methacrylate or silica or polystyrene; these will include samples of binary colloidal crystal alloys, samples of colloidpolymer mixtures and samples of colloidal gels. Binary colloidal crystal alloys are dispersions of two different size particles in a stabilizing fluid. Colloid-polymer mixtures are solutions of mono-disperse particles mixed with a polymer in a stabilizing fluid, where the phase behavior - solid, liquid and gas - is controlled by the concentration of the polymer. Colloidal gels include aqueous solutions of particles, in this case aggregated on-orbit with a salt solution, to form fractal structures. The structure, stability and equilibrium properties of all the samples, as well as their structure, dynamics and mechanical properties, are being studied. Protein Crystal Growth - Biotechnology Ambient Generic (PCG-BAG): The fundamental goal for growing biological macromolecular crystals is to determine their structure and the biological processes in which they are involved. Scientists select macromolecules, crystallize them, and analyze the atomic details - often by using X-ray crystallography. By sending an intense X-ray beam through a crystal, scientists try to determine the three-dimensional atomic structure of the macromolecule. Understanding these structures may impact the studies of medicine, agriculture, the environment and other biosciences. The Enhanced Gaseous Nitrogen Dewar is a stainless steel and aluminum container assembly, similar to a thermos bottle, for carrying biological crystallization experiments aboard the space shuttle to the International Space Station. Approximately 500 plastic tubes, each containing a specific crystal-growth experiment, can fit inside the dewar assembly. The primary purpose of these experiments is to grow crystals of biological macromolecules in the low-gravity environment of space. These macromolecules include proteins, viruses and nucleic acids. Protein Crystal Growth - Single-locker Thermal Enclosure System (PCG-STES) Housing the Protein Crystallization Apparatus for Microgravity (PCAM): The STES is an incubator/refrigerator module that can house different devices for growing biological crystals in microgravity. Each STES unit houses six Protein Crystallization Apparatuses for Microgravity (PCAM), which are designed to grow the actual crystals. The fundamental goal for growing biological macromolecular crystals is to determine their structure and the biological processes in which they are involved. Scientists select macromolecules, crystallize them, and analyze the atomic details to determine the threedimensional atomic structure of the macromolecule. Understanding these structures may impact the studies of medicine, agriculture, the environment and other biosciences. PuFF - The Effects of EVA and Long-Term Exposure to Microgravity on Pulmonary Function: The Pulmonary Function in Flight (PuFF) experiment focuses on the lung functions of astronauts both while they are aboard the International Space Station and following spacewalks. PuFF uses the Gas Analyzer System for Metabolic Analysis Physiology instrument in the Human Research Facility rack, along with a variety of other equipment. Data is stored in a personal computer located in the HRF rack and then transmitted to the ground. Renal Stone Risk During Space Flight: Assessment and Countermeasure Validation: Exposure to microgravity results in a number of physiological changes in the human body, including alterations in kidney function, fluid redistribution, bone loss and muscle atrophy. Previous data have shown that human exposure to microgravity increases the risk of kidney stone development during and immediately after space flight. Potassium citrate, a proven Earth-based therapy to minimize calcium-containing kidney stone development, will be tested during Expedition Four as a countermeasure to reduce the risk of kidney stone formation. This study also will assess the kidney stone-forming potential in humans based on mission duration, and determine how long after space flight the increased risk exists. Sub-Regional Assessment of Bone Loss In The Axial Skeleton In Long-Term Space Flight: As demonstrated by Skylab and Russian space station MIR missions, bone loss is an established medical risk in long-duration space flight. There is little information about the extent to which lost bone is recovered after space flight. This experiment is designed to measure bone loss and recovery experienced by crewmembers on the International Space Station. Xenon 1: Effects of Microgravity on the Peripheral Subcutaneous Veno-arteriolor Reflex in Humans: After being in the microgravity environment of space, the body's ability to regulate blood pressure while standing is reduced. This is called orthostatic intolerance, which can severely inhibit the functional capacity of crewmembers during re-entry and landing. The Xenon 1 study will investigate the mechanism of this syndrome, specifically the extent to which the blood vessels are active in maintaining normal blood pressure, laying an important foundation for the development of treatments for orthostatic intolerance. To study orthostatic intolerance, a tracer material, 133Xenon, will be injected just below the skin in the lower leg above the ankle. Arterial blood pressure will then be recorded continuously to calculate how blood vessels help regulate arterial blood pressure and prevent orthostatic hypotension, or dizziness when standing. The rate at which the Xenon is removed from the area by the circulatory system will also be measured. These measurements will be done on each of the Expedition Three crewmembers 30 days before their launch and repeated one day after they return to Earth. Zeolite Crystal Growth Furnace (ZCG): Zeolites have a rigid crystalline structure with a network of interconnected tunnels and cages, similar to a honeycomb. While a sponge needs to be squeezed to release water, zeolites give up their contents when they are heated or under reduced pressure. Zeolites have the ability to absorb liquids and gases such as petroleum or hydrogen but remain as hard as a rock. Zeolites form the backbone of the chemical processes industry, and virtually all the world's gasoline is produced or upgraded using zeolites. Industry wants to improve zeolite crystals so that more gasoline can be produced from a barrel of oil, making the industry more efficient and reducing America's dependence on foreign oil. On June 07, 2002 Space Shuttle STS-111 brought the Expedition 5 to the station. Finally the station command changed from Russian cosmonaut Yuri Onufriyenko to Russian cosmonaut Valeri Korzun. 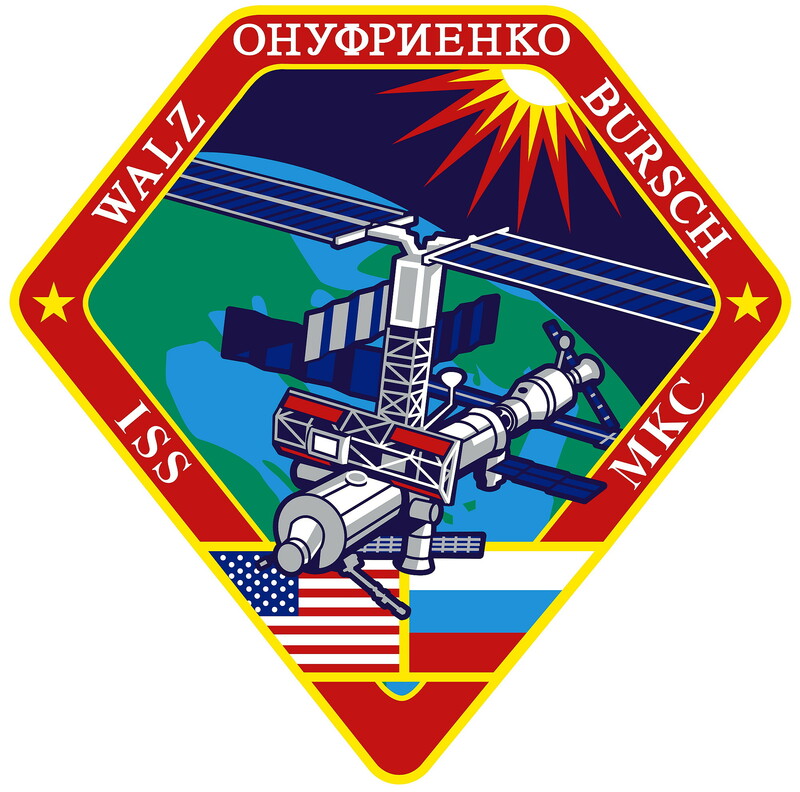 Expedition 4 offically ended with undocking of STS-111, carrying Yuri Onufriyenko, Carl Walz and Daniel Bursch, on June 15, 2002 at 14:32:00 UTC.